Level #1 contains: "What is Addition? ", "Sums through 10", "Symbols and Vocabulary", and "Sums through 18". 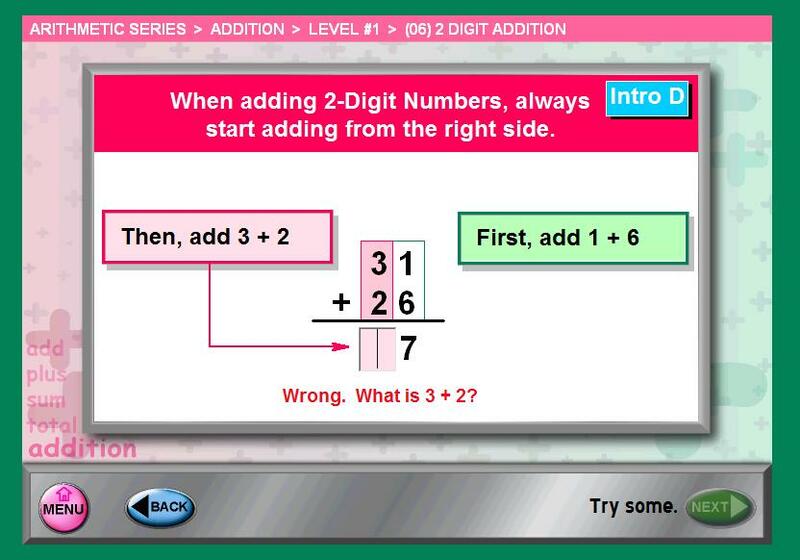 These first grade math worksheets are for students of any age who need to learn addition skills. 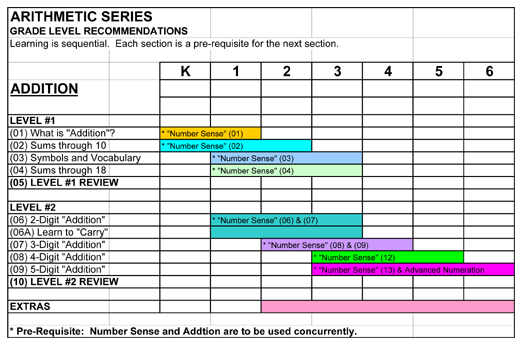 Level #2 contains: "2-Digit Addition", "Learn to Carry", "3-Digit Addition", "4-Digit Addition", and "5-Digit Addition". Students will learn to add with "re-grouping" or "carrying". 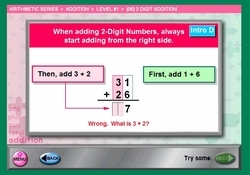 Continue to learn addtion by using addition skills in word problems which are scattered throughout the program. 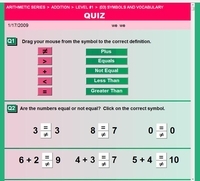 Each level of this addition skills software program concludes with a review which is scored by the computer and can be used either as a pre-test for placement purposes or as a post-test for evaluation. The last section, "EXTRAS", contains problems on time, calendar, temperature, and figural analogies. 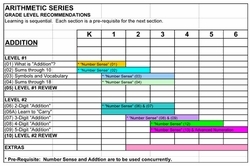 Addition worksheets of every section are printable for classwork or homework. Every screen is printable either by one screen at a time or an entire section. From the addition worksheets menu print addition worksheets to practice addition facts along with "extras" which include mazes, questions about time, seasons, months, direction, measurement, and brain teasers.